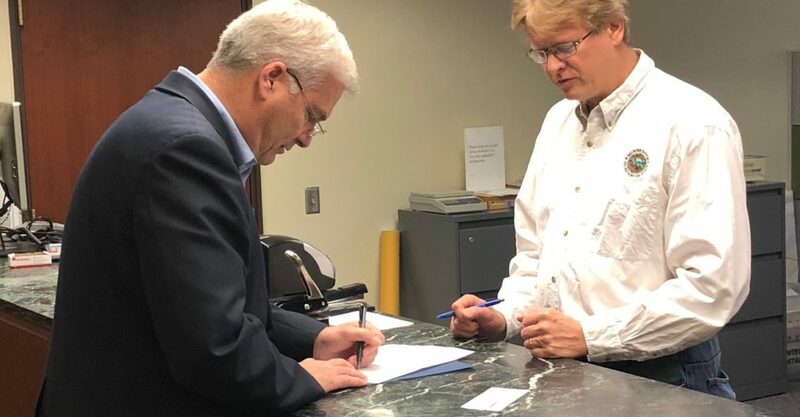 Otsego, MN – Today, Congressman Tom Emmer announced he is seeking reelection to represent the people of Minnesota’s Sixth Congressional District in the U.S. House. “I appreciate the support and encouragement I’ve received over the past few months to run for governor or senator, however, I look forward to continue representing Minnesota common sense and the Midwest values of the people of my district in Congress,” stated Congressman Emmer. Emmer will be supporting his fellow republicans for federal and statewide offices to continue the momentum of the 2016 election. “As Deputy Chairman of the National Republican Congressional Committee [NRCC], I will be working hard to retain the Majority in the U.S. House of Representatives this November. In Minnesota, we have great Members like Erik Paulsen and Jason Lewis who we need back in Washington. We also look forward to getting candidates like Jim Hagedorn and Pete Stauber to join them in the next Congress. In addition, with both U.S. Senate seats, the Minnesota House, governor and all of the other state constitutional offices on the ballot, 2018 will be an opportunity for republicans to post major electoral gains and turn Minnesota red, ” observed Emmer. “Under the leadership of Chairman Stivers, the NRCC set a fundraising record for a non-election year with $85 million raised and $44 million on hand. We will use those resources to turn out American voters who support our pro-growth agenda of getting the federal government out of the way,” said Emmer, who was also recently picked to chair the March Dinner, the NRCC’s largest national fundraising event of the year. Congressman Emmer was first elected to the U.S. House in 2014 and won re-election in 2016 by 31 points. He is a Member of the Financial Services Committee, and also a Member of the Republican Deputy Whip Team and the House Republican Steering Committee. “I am proud to endorse Pete Stauber in his campaign to be our next Congressman from Minnesota’s Eighth District. Pete is a born and raised Minnesotan who has dedicated his life to public service and his community. A former police officer, current county commissioner and father of five, Pete truly understands what Northern Minnesota families need and is ready to deliver.